Two contractors — one private and one government-owned — manufactured defective combat helmets ordered by the Pentagon, costing the government millions, a watchdog said last week. 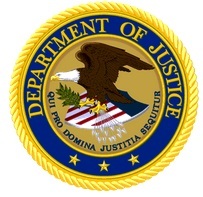 Justice Department Inspector General Michael Horowitz released a summary of two fraud investigations by his office and the Defense Criminal Investigative Service, with help from Army personnel, in response to whistleblower allegations made by two employees of Federal Prison Industries. The State Department acted properly when it punished an employee for refusing to carry out a rule-breaking assignment, a federal court has decided, setting a new precedent in the federal workforce. The U.S. Court of Appeals upheld a ruling originally determined by the Merit Systems Protection Board in Rainey v. State, in which an employee argued the department improperly gave him a poor performance review and took away responsibilities when he refused to carry out a directive that went against federal rules. Instead, the court affirmed in a precedent-setting opinion, State was permitted to take those actions because rules and regulations do not qualify as federal statute. The Whistleblower Protection Act protects a federal employee from retaliation “for refusing to obey an order that would require the individual to violate a law.” Timothy Rainey was instructed by a supervisor to compel a contractor to rehire a fired subcontractor, according to court documents. Such a request violates a provision of the Federal Acquisition Regulation (FAR), and Rainey refused to carry out the order.